A kid ho knows Aikido! Aikido is a non aggressive martial art which aims to teach kids to be calm and in harmony with their environment. If your kids need to learn to relax, Aikido might be for them! Aikido is one of the most fun and yet challenging sports for your child. Children learn best when they are having fun. Self-esteem and confidence in your child can be build effortlessly while interacting with other students. Could your kids benefit from a bit more of a positive attitude? Aikido also helps with strength and fitness as it is physically quite challenging. Kids may find that knowing how to fend off attacks gives them more self- confidence and could even help prevent bullying. Aikido activities for kids can provide them with a well-rounded set of skills to equip them for the future. Formal aikido training usually begins at 5 years of age and can continue through life. Aikido is non-competitive and would suit children who like to learn at their own pace. How can you organise Aikido lessons and matches for your kids? There are many aikido schools located around South Africa which offer aikido based kids’ activities. To locate one in your area check our online directory. Children’s training programs usually run in conjunction with the school terms with separate holiday camps and classes. Aikido lessons cost around R85 per lesson and are usually payable by term. Uniforms cost extra and will be available from your school along with any necessary padding and safety equipment. 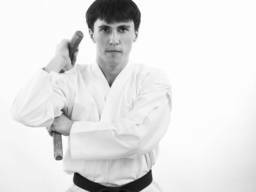 You may also be able to purchase uniforms, equipment and books on martial arts from a specialised martial arts store if there is one in your area.